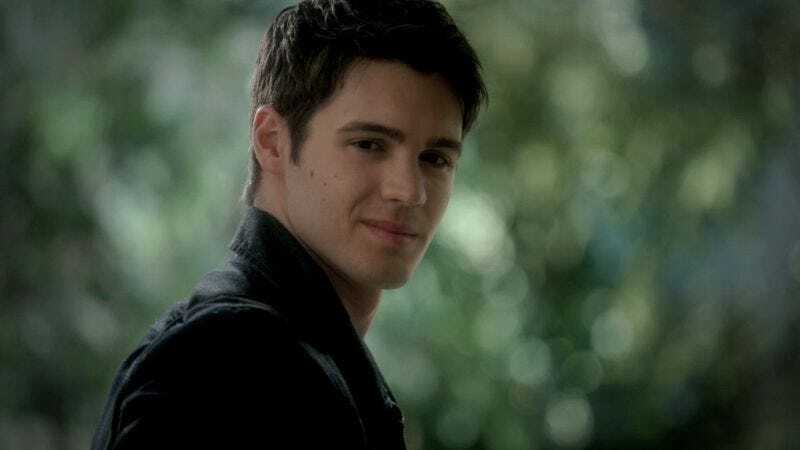 After five-and-a-half seasons of fighting, communicating with dead girlfriends, and all-around emoting, Steven R. McQueen will be leaving The Vampire Diaries. The actor—who has played Jeremy Gilbert, younger brother to Nina Dobrev’s Elena, since the show’s beginning—will be departing in episode 14 of the current season, early in 2015. However, according to The Hollywood Reporter, his character isn’t being killed off (not that that would stop anyone on this show from returning—especially Jeremy), and executive producer Julie Plec is leaving the door open for possible reappearances from the younger Gilbert. Here’s hoping any such instructions to the casting director get the name slightly muddled, and we’re instead treated to a Vampire Diaries guest stint from the director of 12 Years A Slave, or possibly the reanimated star of Bullitt.